Believe it or not, mouthwash has many uses beyond simply cleaning your teeth and keeping your breath minty fresh. Mouthwash has many other uses for personal care and around the house. Whether you are trying to get rid of pimples, keeping mosquitoes at bay, or seeking an impromptu cleaning agent, mouthwash has you covered. Keep in mind that when cleaning, you want to avoid mouthwashes that contain sugar. The sugar can leave behind an unsightly residue once the mouthwash has dried. Also, if you are wanting to use mouthwash for use as an astringent, look for a mouthwash that contains alcohol. So if you want to use mouthwash for a multitude of tasks, in addition to cleaning your teeth, Keep a supply at home. Read more about these brilliant uses for mouthwash to make it easier to clean around your house and to take care of your body. 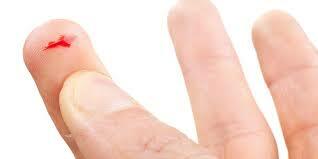 The antiseptic nature of mouthwash makes it a great choice when trying to prevent or get rid of nail fungus. Mix 1 part mouthwash with 1 part white vinegar. 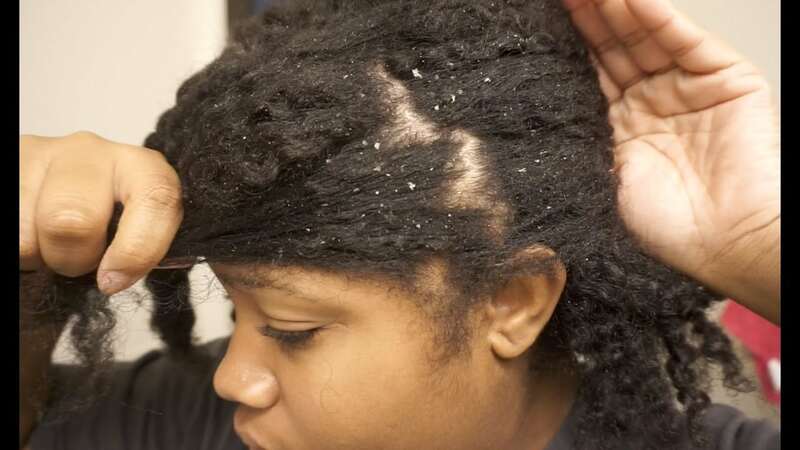 Apply the solution to the affected hails using a cotton wool pad at least two to three times each day. 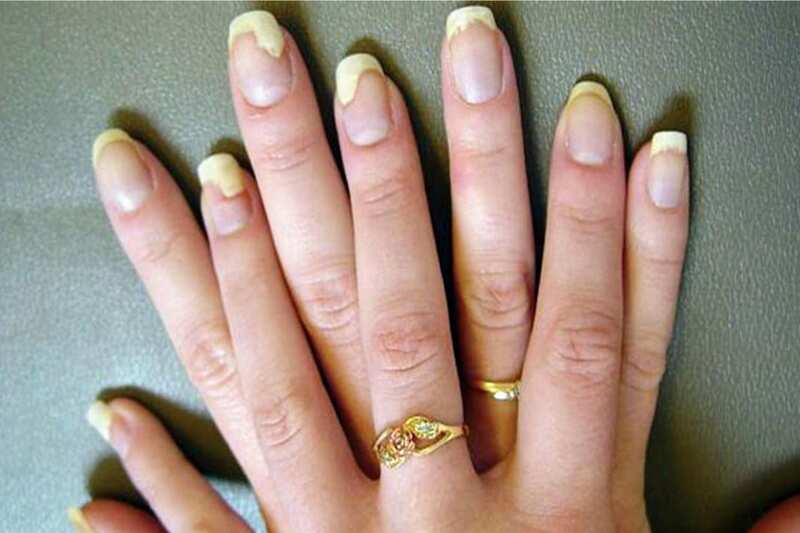 Make sure to dispose of the pad after use, as it could reinfect your nails if reused. Mouthwash can help speed up the healing process when it comes to poison ivy. 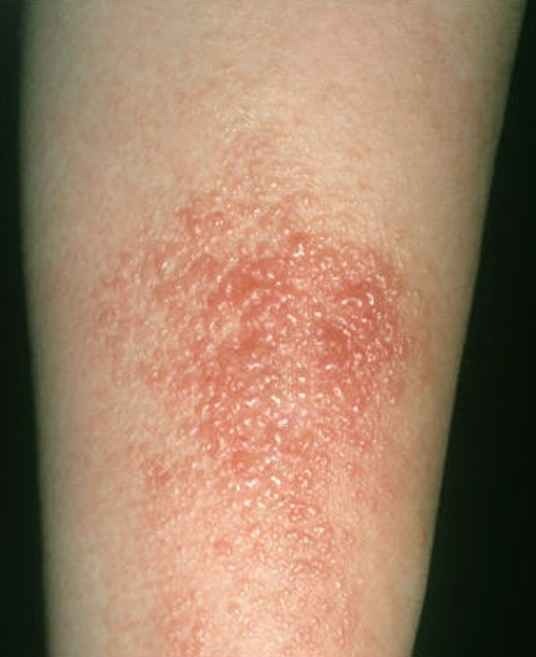 It does this by drying the rash out. In addition, the mouthwash helps to relieve any itching and inflammation to help stop scratching, which is the main contributor to the spread of the poison ivy rash on the body. If you end up hitting your body in such a way that you know will cause a bruise, rub a little mouthwash into the area. This should keep the bruise from becoming too dark, making it less noticeable. 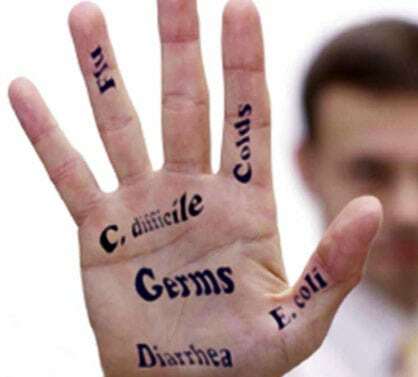 Just as you can use mouthwash to prevent or get rid of nail fungus, it is also useful in getting rid of athlete’s foot. Simply apply some mouthwash to a cotton ball and apply directly to your feet. While it might sting a little, the mouthwash should help get rid of the athlete’s foot more quickly. Mouthwash also works great as an impromptu mosquito repellent. 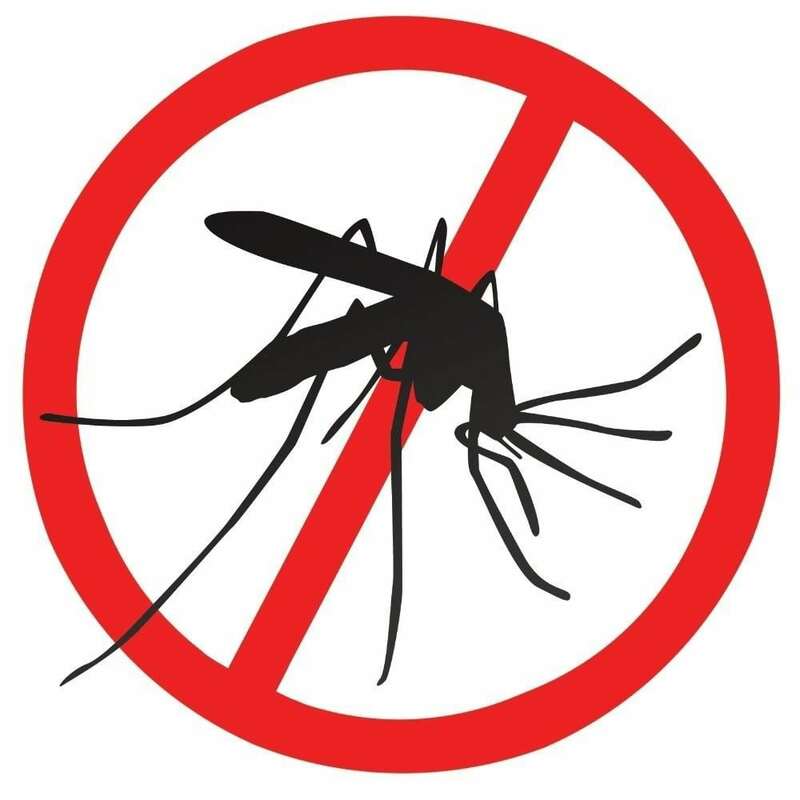 Apply the mouthwash to exposed areas to keep the mosquitoes at bay. 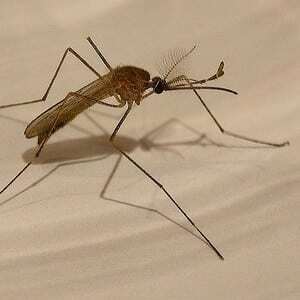 To make an effective mouthwash, beer, and Epsom salt mosquito repellent, visit My House Pests. While mouthwash works great in helping to get rid of athlete’s foot, it also can soften your feet. For this foot-softening cure, mix mouthwash with some water in a container large enough to submerge your feet in. The, soak your feet for a refreshing foot bath. If you find yourself in need of hand sanitizer while traveling but failed to pack any, then this hack might work for you. Pour some non-sugar mouthwash into a travel-size spray bottle, and when you need to sanitize your hands, spray some mouthwash onto your hands. Mouthwash can also act as an aftershave to tighten the pores on your face and legs. For this hack to work, you need alcohol-based and sugar-free mouthwash. Apply the mouthwash to a cotton ball, and then wipe your face or legs with it after shaving. Follow up by rinsing your face or legs with water. Another way to use mouthwash while traveling is as an emergency deodorant. If you find yourself with stinky armpits with nothing to put on them, apply some mouthwash to a tissue and rub it on your armpits. The mouthwash should make them smell fresh. You can use mouthwash to clean your windows and mirrors. 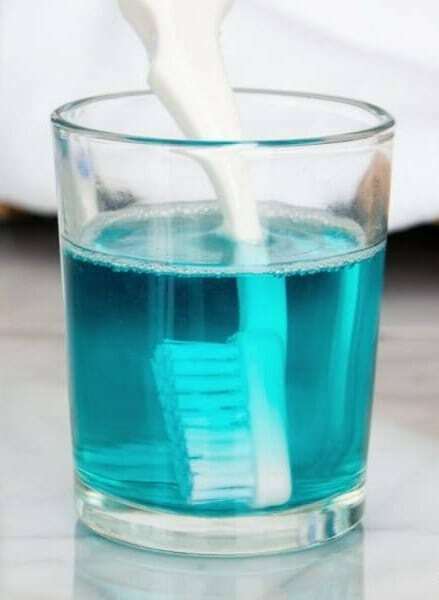 Keep in mind this is another use for mouthwash that requires the alcohol-based, sugar-free variety. Apply the mouthwash to a damp cloth, and use it to clean the glass surface. 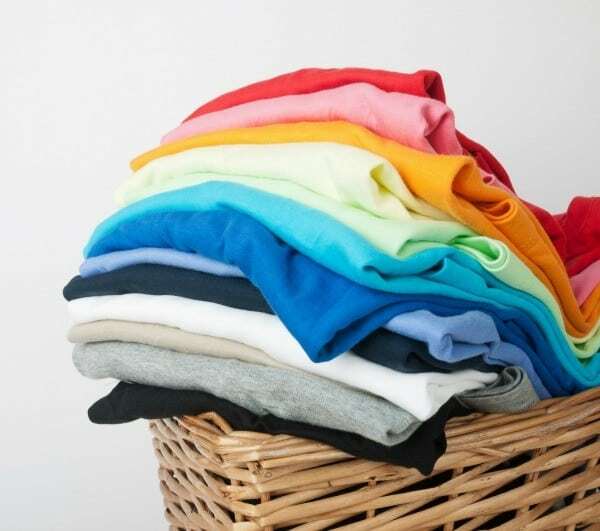 Dry the surface with a dry, lint-free cloth. In addition to softening your feet, you can use mouthwash to get rid of stinky foot odor as well. Mix a cup of mouthwash with a container of water big enough to submerge your feet in. The antiseptic nature of the mouthwash should kill the bacteria that causes the bad odor. 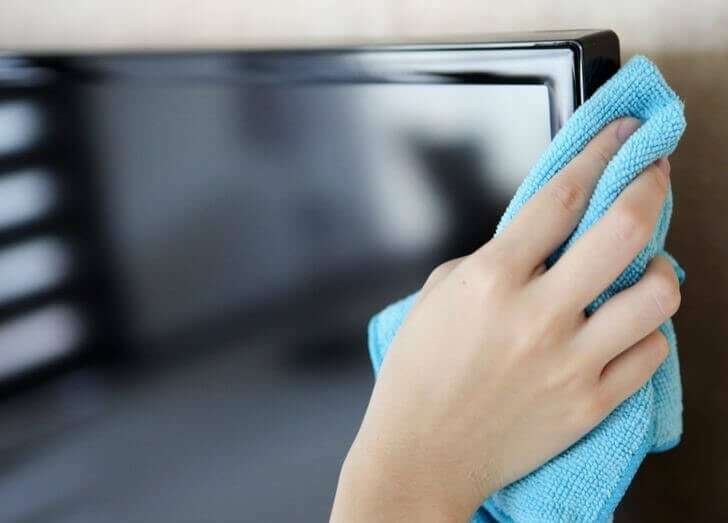 Mouthwash can also clean your TV screens and computer monitors. Keep in mind, this is affective on glass only. The alcoholic nature of many mouthwashes can actually harm the softer LCD screens of more modern computers and flat screen TVs. Use an approved cleaner for these instead. Alcohol-based mouthwashes are great at preventing dandruff. To make this hack work, apply the mouthwash as a rinse after you shampoo your hair a few times a week. It shouldn’t be too long before you start seeing an improvement. If you find yourself with a stinky garbage can, a little mouthwash might be all that you need. 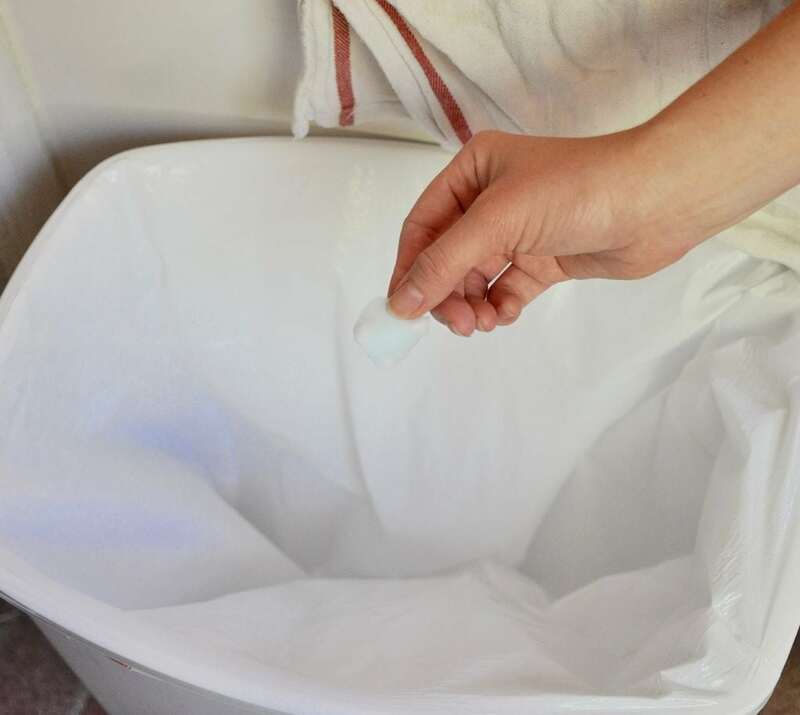 Place a cotton ball saturated with mouthwash into the bag in your garbage can. If the smell dissipates, add another cotton ball saturated with mouthwash. If you have piercings, you might be at a loss on how to keep them clean, especially those in your mouth or other sensitive areas. Mouthwash is perfect for this, as it is nontoxic and safe for use. 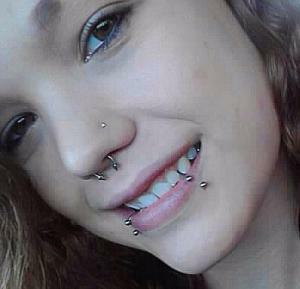 Simply dip cotton wool, or a Q-tip, into the mouthwash and then clean the piercing area. Mouthwash is also great at helping to heal blisters. 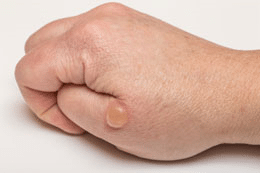 To apply the mouthwash to the blister, apply some to a cotton ball and dab the blister. The mouthwash will numb the pain and keep the area clean, helping it to heal much faster. 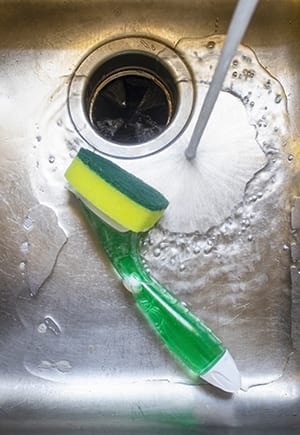 If you have a stinky garbage disposal, mouthwash might help alleviate the odor. To get rid of your garbage disposal odors, pour a half cup of mouthwash down the disposal. Next, pour in some hot water to rinse the disposal. 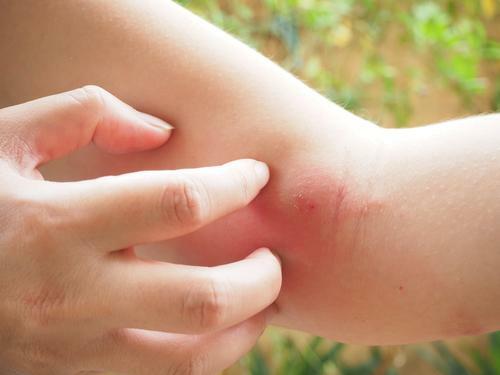 While bug bites are itchy, scratching them only makes them worse or can even bring on an infection. 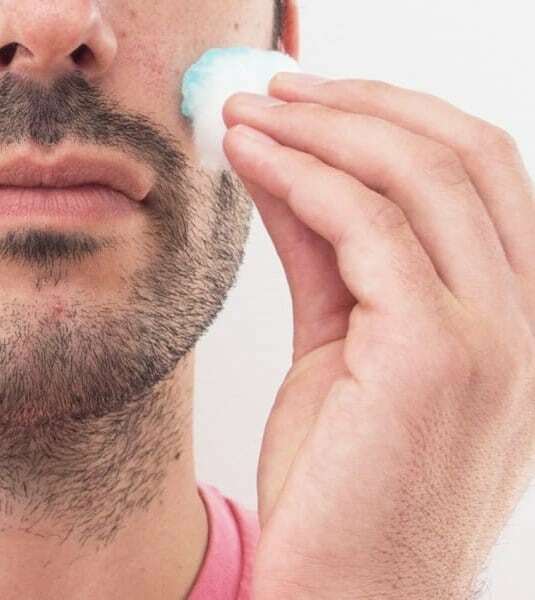 To relieve the itchiness of a bug bite, apply some alcohol-based, sugar-free mouthwash to a cotton ball and rub it on the affected area to relieve itchiness and inflammation. If you have pimples on your body, consider applying some sugar-free, alcohol-based mouthwash to them. The easiest way to apply the mouthwash to the pimple is to first apply it to a Q-tip and then dab it on the pimple. The mouthwash should kill the bacteria in the pimple and help dry them out. 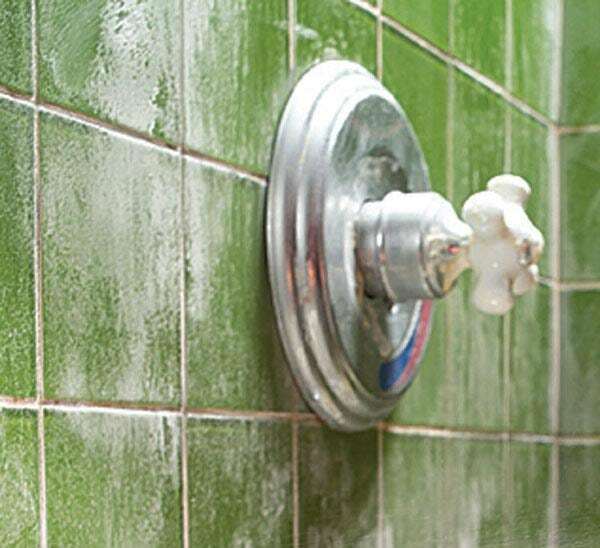 If you have dingy, mildewed tiles that need cleaning, consider using an alcohol-based, sugar-free mouthwash. The alcohol in the mouthwash can easily cut through the mildew and really make them shine. Apply using a sponge for best results. 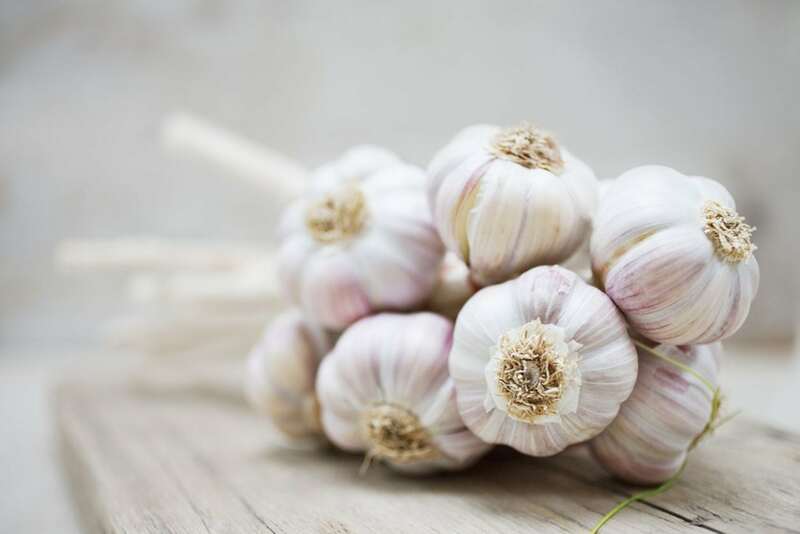 Garlic can leave behind an offensive odor, not just in your mouth, but on anything that touches it, including your hands. To rid yourself of this odor, massage some mouthwash into your hands before washing with soap and water as normal. 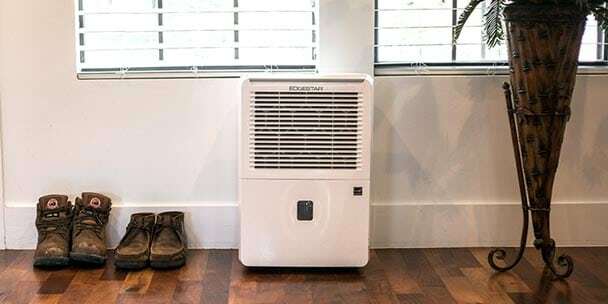 Over time, the moisture in a dehumidifier can lead to the formation of mildew. Luckily, mouthwash is the perfect solution for this problem. Add a few tablespoons of mouthwash to the water you place in the dehumidifier. This should prohibit the formation of mold. If you have minor cuts and scrapes, use mouthwash to disinfect them. Originally designed as an antiseptic for use before surgery, mouthwash can still serve as an antiseptic agent. 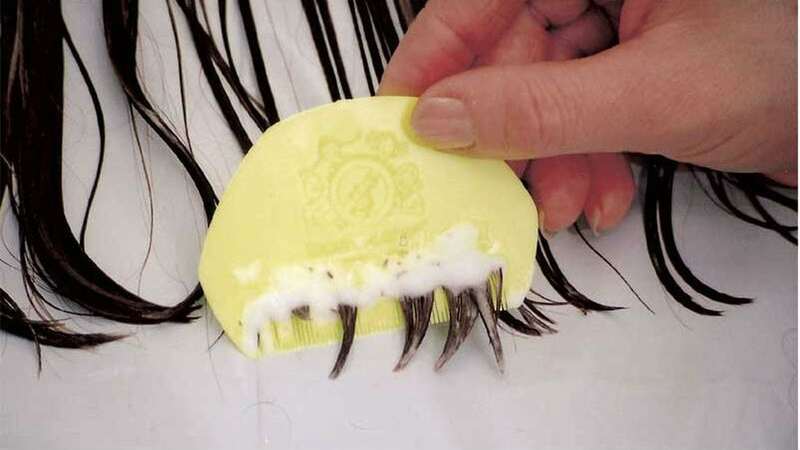 To use, dab it onto any cuts and scrapes using a cotton ball. Mouthwash is even effective at keeping out mice. 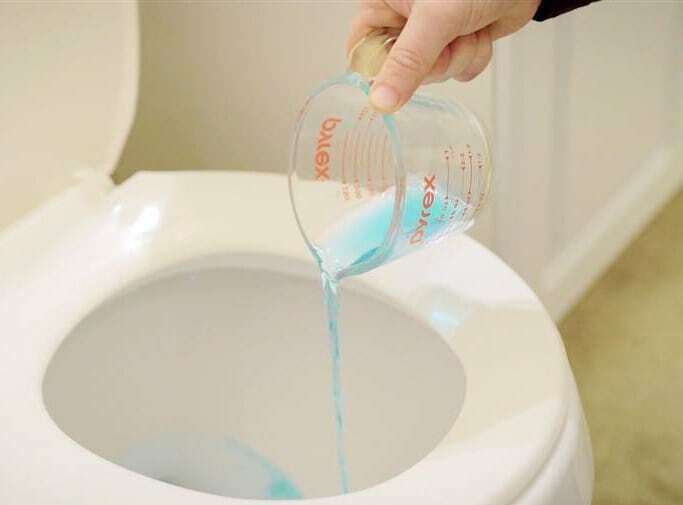 To use it for this purpose, mix 1 part water with 1 part mouthwash. 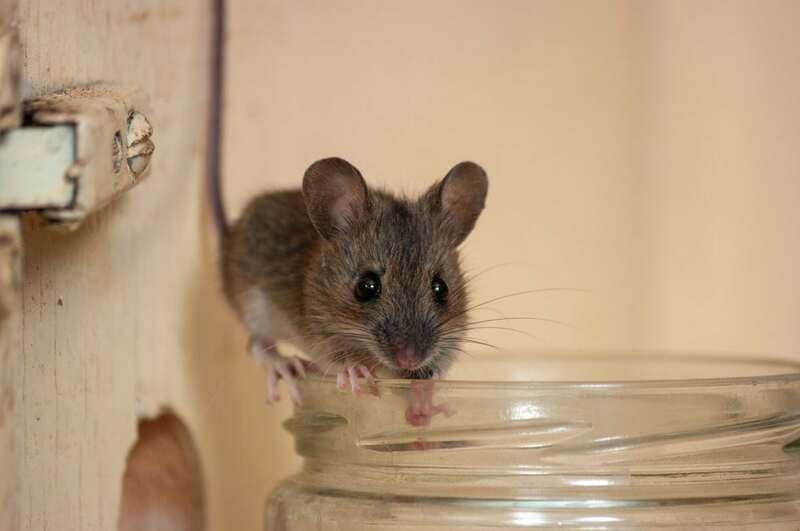 Place the mixture in a spray bottle, and spray around any mice holes you find to discourage them from coming back. Mouthwash makes a perfect disinfecting agent to use in your wash. Not only can it help freshen your regular laundry, it also kills the bacteria-causing odors found in socks and gym clothes. For this hack, pour 1 cup of mouthwash into your laundry. Alcohol-based, sugar-free mouthwash can help keep lice away. Simply pour some mouthwash into a spray bottle and spray over the hair before leaving for the day, making sure to not get it in your eyes. 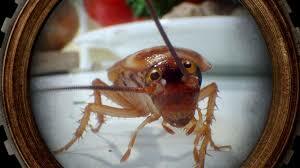 Mouthwash also makes a great insect repellant in the garden. Mix 1 cup of mouthwash with 2 cups of water in a spray bottle. Then mist it over the leaves of your plants. This should keep the bugs away and still not be overly harsh on your plants. Another area where mouthwash literally shines is in getting rid of hard water stains. To use the mouthwash for this application, rub a small amount on the shower door, faucet, or other areas with hard water stains. Follow this up by wiping clean with a clean, dry cloth. To make a bouquet of cut flowers last longer, mix 1 tablespoon of mouthwash in 4 pints of water before placing your flowers in the mixture. The mouthwash helps to kill the bacteria that makes the flowers decompose, thus making them last longer. While mouthwash is known to repel mosquitoes and other insects, alcohol-based mouthwash can also killed insects if sprayed directly on them. You can also add a few drops of peppermint soap to the spray bottle for a more effective bug-killing spray. 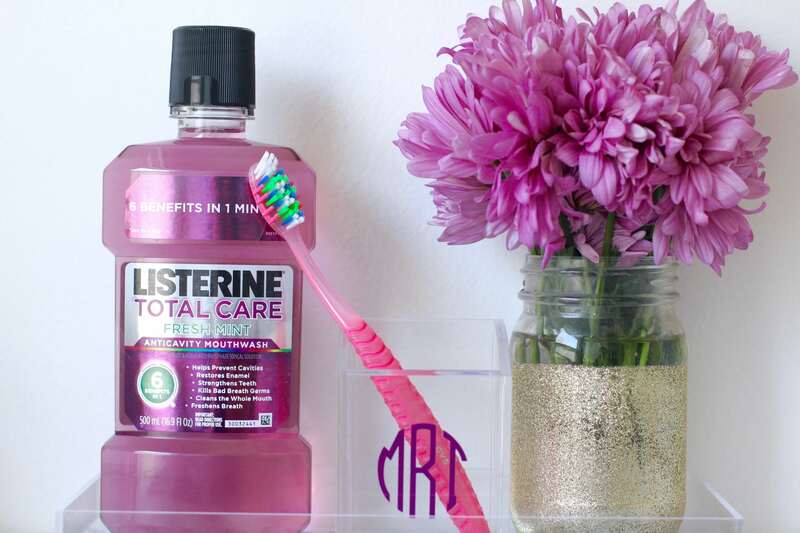 Submerging your toothbrush in mouthwash after use is a great way to clean it. To kill the germs on your toothbrush, submerge it in a small cup filled with mouthwash. Let it sit in the mouthwash for at least 10 minutes before removing it and rinsing it in water. While mouthwash leaves your breath minty fresh after use, it also has some more medicinal uses. 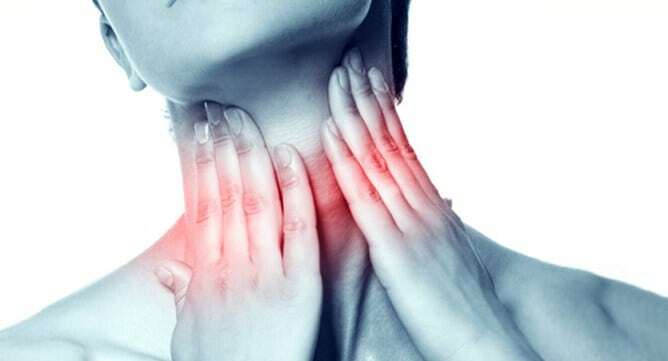 Its antiseptic nature makes it perfect when treating a sore throat. For best results, gargle with mouthwash at least three times a day. If you need to clean a dirty toilet bowl but are out of cleaner, you can use mouthwash instead. Pour the mouthwash around the bowl, and let it sit for a few hours. Finish by scrubbing the toilet bowl with a toilet brush and flush. You can use an alcohol-based, sugar-free mouthwash as a face cleaner. Start by washing your face with soap and water. Then, rinse and apply the mouthwash using a cotton ball with mouthwash on it. Gently wipe, and then rinse it off with warm water. For a great fungicide for use on your houseplants, mix 1/4 cup of mouthwash with 3/4 cup of water in a spray bottle. The mouthwash should keep your plants mildew free without harming them. 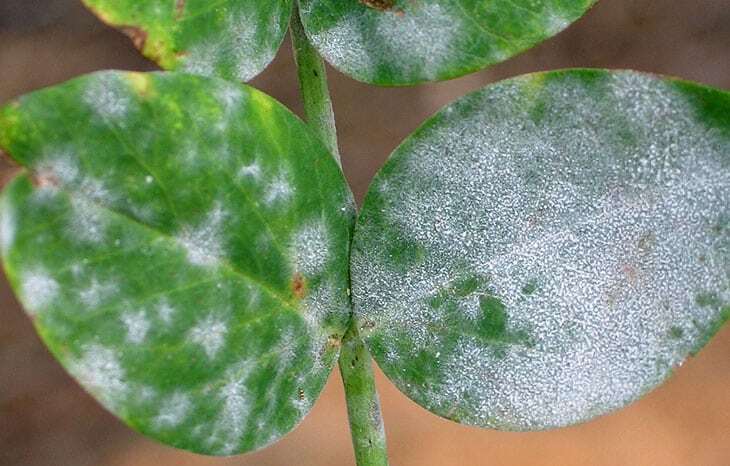 Spray the leaves daily to keep away any mildew or fungus. 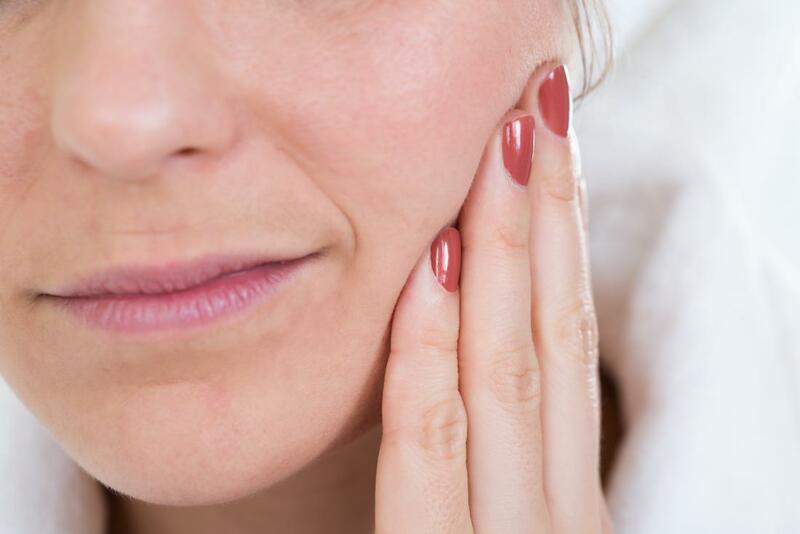 A toothache can keep you up at night and make it difficult to go about your day-to-day activities. If you have a toothache, apply a little mouthwash to the tooth. Using a mouthwash with fluoride and anti-microbial properties works best to keep your teeth strong and healthy in the first place. 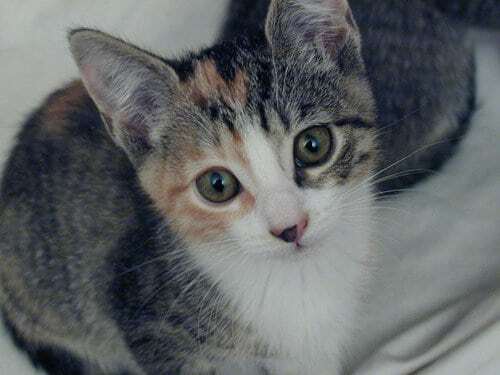 If you find that your cat tends to pee where she shouldn’t, clean up the area using mouthwash. Spray the area using a mixture of 3 tablespoons clear mouthwash and 1 cup of water. The minty smell of the mouthwash should deter your cat from peeing in that location in the future. 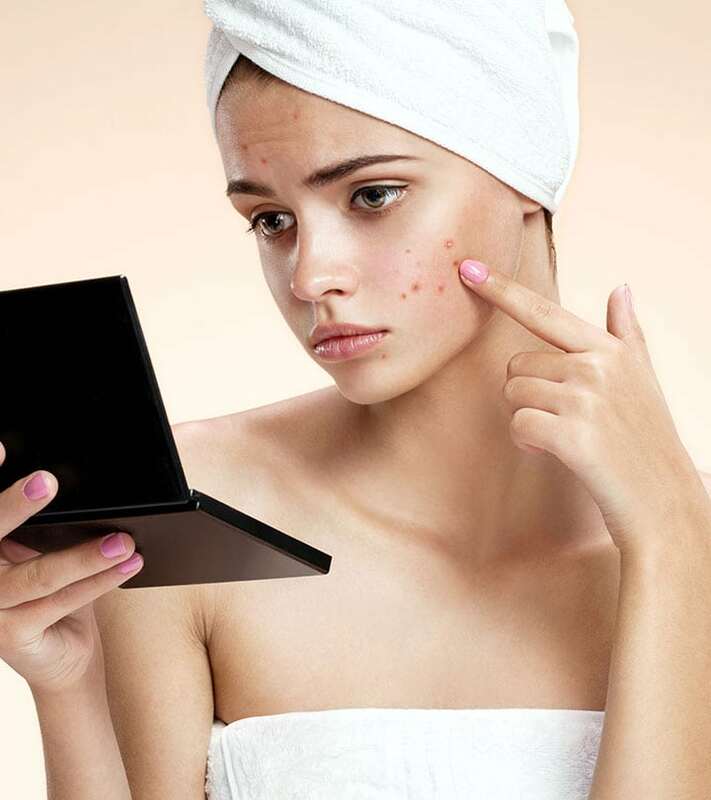 Another skin condition that mouthwash can helps treat is psoriasis. Mouthwashes with eucalyptus oil are great for relieving the itching associated with the skin condition. The menthol and alcohol in many mouthwashes can also cool the skin, providing relief. Use in moderation, though, as the alcohol in the mouthwash could dry out the skin and actually make the situation worse.